Medial epicondylitis also occurs in repetitive movements involving the wrist, whether at work or during daily activities. It can also occur in golfers, whether amateur or professional. 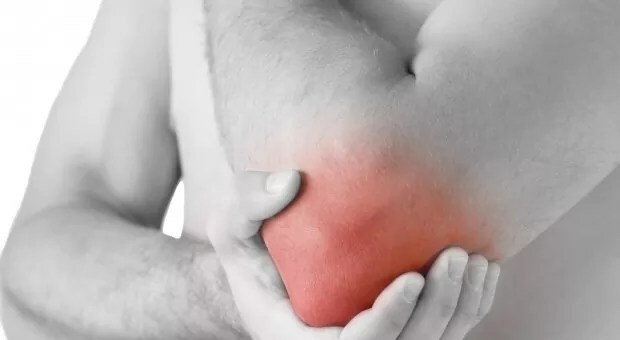 As a result of overwork, inflammation occurs where muscles and tendons attach to the elbow. The muscles and tendons involved are those that allow flexion of the wrist and fingers. Without proper treatment, this condition can develop into a chronic and recurring problem. The presence of partial degeneration or tear of the tendon is possible. The pain is on the inside of the elbow. It will be felt when the inflamed muscle or tendon is used. At first, it will be during certain specific activities to then manifest itself in simple daily activities such as lifting a glass or turning a door handle. A weakness in these activities may also be noted. Orthopedic appliance and Kinesio taping to reduce the pressure on the tendon Damaged. Acute condition, for which symptoms have been present for less than 4 weeks, is treated within 2 to 6 weeks. Chronic conditions, for which symptoms have been present for more than 8 weeks, may require 3-6 months.